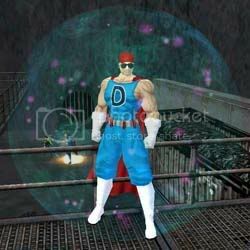 City of Heroes is a superhero-themed Massively Multiplayer Online Role-Playing Game that launched back in April 2004. Its badge system arrived several months later as part of the second free update of the game. 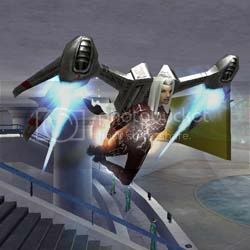 It was a seemingly minor inclusion at the time, alongside the more headline grabbing embellishments such as power re-specification, the much requested inclusion of capes and two brand new game zones, but the reward system was arguably one of the most important additions ever made to the game. 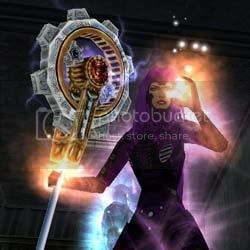 City of Heroes’ virtual badges are handed out as rewards for a whole host of different actions. They can be earned through zone exploration and the completion of key missions. Some are unlocked by defeating specific types of enemies, by taking a lot of damage or by healing others. There are also special badges for completing task forces (a long series of linked missions requiring several players working together) or by reaching character level milestones. Although most badges are just for show, a few do grant the player access to special powers and abilities. Unlike Microsoft’s achievement system there is no overall “gamerscore” although a player might choose to boast about his or her overall badge count. If they’re particularly sad, that is. 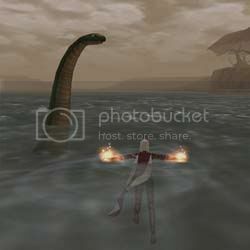 What was pretty much universally laughed at, as a concept, on the game’s forums quickly became one of City of Heroes’ most popular features, particularly as the MMO was “loot free” at the time. Whole communities and websites based around the system sprung up and in-game chat channels and groups were formed, dedicated to working together to earn rewards. People hacked into the graphics files to find undiscovered badges. They created online databases and ancillary programs that helped record player progress. The system initially launched with a small collection of badges that has been built upon and added to over time as new game features have been introduced. There are now awards to show how long you’ve been playing the game, badges for crafting and trading, rewards for producing and playing user generated missions and medals for taking part in special seasonal events. There are currently almost 700 different awards to obtain on hero characters and over 600 rewards for villains. The success of badges in City of Heroes showed how a reward system could not only encourage gaming but, for some players, could actually become a game in its own right; the game within the game. Badges kept many users interested in playing as it gave them mini-targets and goals to work towards, especially at the time when new content updates to the game were few and far between. It extended the game for those who had reached the level cap. It promoted grouping with others, particularly higher level characters teaming with lower levels, and rewarded those players who took an active part in teams. Although the impact of the badge system was overwhelmingly positive there have been some negative aspects associated with its introduction. Any reward structure is open for exploitation, by those looking to cheat or bend the rules, and there are plenty of potential “shortcuts” to earn badges in City of Heroes. Popular activities have included healing farms (where players set up their characters to attack and heal each other while they’re away from their computer) and damage boosting (which usually involved finding a suitable mission with a lava pit and leaving a character in it for hours). They’re the same sorts of activities you’ll see in many other MMOs and similar shortcuts to ones you see people trying to find in Microsoft’s achievement system. The introduction of badges also increased the tension between different factions of the player base; provoking squabbling between those who loved the rewards and those who couldn’t see the point. These conflicts could become particularly heated in the game’s free-for-all zones where those hunting for badges were forced into direct contact with those specifically interested in player versus player combat. Badges did demonstrate that they had the power to unite good and evil, though. 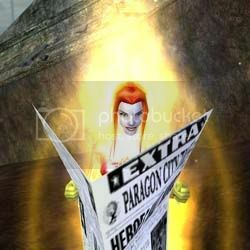 The arrival of the companion title City of Villains in 2005 saw new villain rewards introduced, the majority of which couldn’t legally be earned by characters on the hero side. Of course that didn’t stop a lot of obsessive badge collectors coming up with clever ways of obtaining them. The most impressive example of players working together involved the badge that was awarded for defeating Longbow. At the time, Longbow were an NPC group that could only be encountered by heroes in one specific Player vs Player combat zone. Unfortunately, from a badge hunting point of view, they couldn’t be attacked by heroes as they were fighting on the same side. Obtaining the badge on a “good” character therefore involved convincing a friendly villain (with a specific type of character) to cast a confusion spell which would, extremely briefly, allow the hero character to target and kill the Longbow as enemies. This very time consuming process required a lot of effort and coordination between large groups of players and was made all the more difficult as PvPers in the zone were happy to treat all the “badgers” standing round as potential targets. Just like the rest of the game the badge system has evolved and changed over the past five years in response to the actions and requests of its audience. A way was granted, for example, for hero characters to officially earn the Longbow badge without using the glitch described above. The recent arrival of the Architect Entertainment System, which allows players to create and publish their own missions, added a large number of rewards but also introduced a large number of potential exploits. Many players created missions just to farm the new badges, which clogged up the mission search system in the same sort of way that trophy missions first swamped Sony’s Little Big Planet. Players formed badge cartels, ganging up to rate each others missions as five stars in order to quickly earn certain badges, which artificially inflated the rating on poor content and made it difficult to find some of the really great, imaginative user stories being created. This provoked a decision from the City of Heroes developers to not only remove a large number of the new badges that were being exploited, but also rethink what they wanted to achieve with their 5-year old rewards system. They decided to avoid adding any “count” badges in future that required repetitious tasks, aberrant play styles or gave the illusion of “grindness”. Instead they will be adding badges for one time accomplishments and achievements that they say will be obtainable by the majority of players. In Issue 16, the latest content update of the game, a selection of older awards have had their requirements reduced in line with the new ethos. 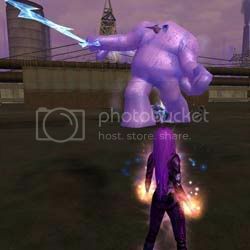 Overall though, the badge reward system introduced in City of Heroes, and copied by other MMOs, has had an extremely positive impact on the game and has undoubtedly helped extend its life. The badges still have a slight hold on me today, even though I rarely play the game any more. Each content update sees a new collection of rewards I’ve yet to earn; tempting and trying to lure me back in. Perhaps as a reflection of how popular City of Heroes reward system is with its core group of players, the developers are rewarding loyal active COH users, who didn’t jump ship during the launch of rival super-hero MMO Champions Online, with – yes, you’ve guessed it – exclusive badges!